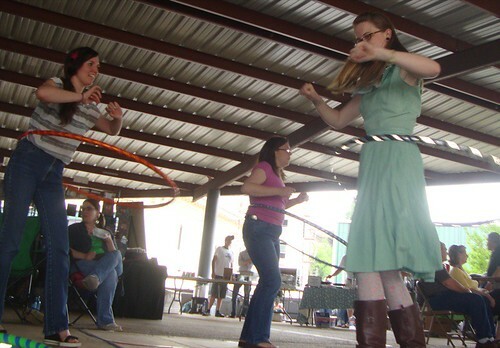 Danielle Hillman, Amy Lynn Scott, Texas Ave Maker's Fair, Spring 2011, a photo by trudeau on Flickr. The Texas Avenue Community Association presents the Texas Avenue Makers Fair, says April Dahm, at the corner of Texas Avenue and Common Street in downtown Shreveport. Vendors will be selling a wide assortment of hand-made, re-purposed, or reconstructed items ranging from clothing and fashion accessories to toys, food, and art. Admission is free and abundant free parking is available near the event. Shoppers are encouraged to bring cash, as many vendors will not be able to process credit or debit card payments. Extensive list of vendors list here. 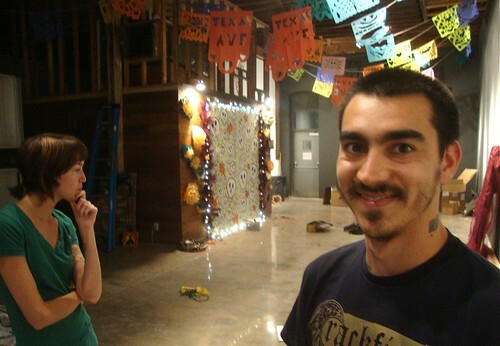 Dia de los Muertos minicine, Shreveport, a photo by trudeau on Flickr. Papel Picado hung from the rafters, a large, art-filled ofrendas by Conchita Iglesias McElwee and large display of clay art by Mexican artist Juan Ramon Soto will remain on view at minicine?, 846 Tex Ave, during the Texas Ave Maker's Fair, says Iglesias McIlwee. Dia art by artists from Norway and New Orleans as well by local artists, including Micah Harold and Megan Porter, is also part of the display. The Merry Widow takes the stage at Riverview Theatre Saturday night as Shreveport Opera presents the enduring and endearing opera that provides us with a rousing tale of money, debt crisis and love woven together with beautiful music and comedy that will have you humming along and laughing with your neighbor. Jerry Shannon conducts the Shreveport Symphony from the pit. Michael Mayes, Katrina Thurman and Eric van Hoven star as Danilo, Hanna (the widow) and Camille respectively. A Fancy Engineering Project on Cross Bayou, a photo by Kathryn Usher on Flickr. Looking for something different to do this Halloween? Red River Cruise’s Annual Spooky Cruise is back, and the DealChicken’s got the scoop on savings. For $20 you and a friend can celebrate the spookiest night of the year on a Halloween Cruise—half off the regular $40 price. A spooky storyteller will be on hand to make your Halloween cruise eggceptionally memorable. Established in 1995, the Red River Cruise company's Spirit of the Red is a U.S. Coast Guard-certified, 35-passenger vessel. 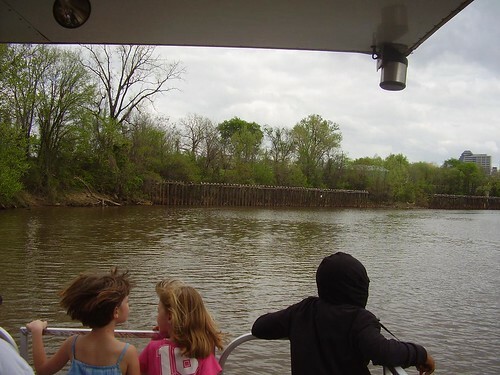 Atop the spacious observation deck, you'll hear about the history of the Red River. The Spirit of the Red River Cruise Captain Sandy Jackson operated his first towboat when he was just 12. The experience managed to hook him on life on the river, and he obtained his captain's license when he was only 20. Jackson joined the U.S. Navy and served four years in Vietnam. Upon his return, he resumed cruising on the river. 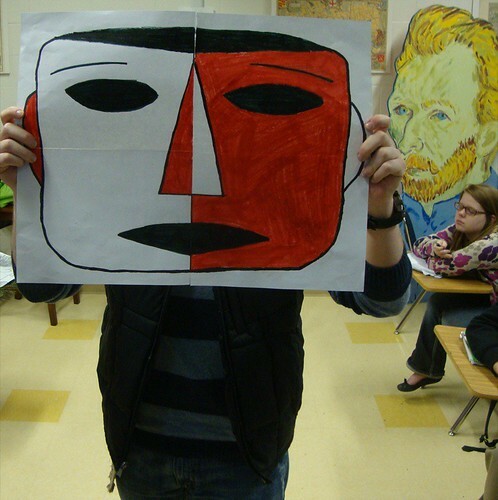 Masks, Magnet fine arts survey, a photo by trudeau on Flickr. Join Bossier Arts Council in initiating the Carnival Season by submitting to a Mask Themed exhibit / fundraiser for the Bossier Arts Council, says Theresa Ratcliff. Prizes will be awarded for Best of Show, 1st, 2nd and 3rd Place, as well as People’s Choice in Both 2D and 3D categories. Because this is a fundraiser, there is an entry fee of $10.00 per artist to help cover expenses. For this competition, Please do Not sign your work on the Front – sign on the back only! There will be a special competition to see who can correctly identify the most artists by their work. If your artwork has already been signed, we will find a subtle way to cover the signatures until the competition is completed. 2. 3D - Artists submitting are asked to create 3D carnival style masks using the medium of their choice. Please do Not sign your creation where visible - there will be a competition throughout this event to see who can correctly match the most artists to their mask. Awards Ceremony and Closing Reception: January 20th at 6:00 pm. All entries must be Mask Themed 2D or 3D art. All media, such as acrylic, collage, oil, pastel, photography, sculpture, etc... accepted. All works must be ready to hang or display. Please bring all works wrapped in paper (or otherwise covered) so that the artist is kept secret!! All questions or concerns should be directed to Theresa via email at artists@bossierarts.org or theresacrat@yahoo.com or by phone at 318-393-3601. Dia de los Muertos Shreveport / minicine, 10.29.11, a photo by trudeau on Flickr. 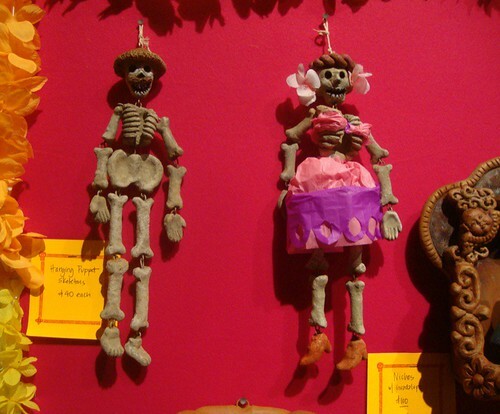 The Dia de Los Muertos exhibit beginning at 7 pm, Sat, Oct 29 ($5), is going to be a shakin' calacas. From large work fresh off the table by Megan Porter to intense flights of sexuality and mystery by Micah Harold, this Dia will both bow to the Mexican tradition and cut its own path through the zacatecas. Produced by Conchita Iglesias McElwee - she is a past master at the art of Dia - alongside Adam Davis, Mallori Brandon and others, this event at minicine, 846 Texas Ave, is a smart follow-up to the international MSPS New Music Fest. The minicine team is raising the rope for local artists. It has come to pass that shows like Dia 2011 are including artists from Europe (2 artists from Norway, in this case) and other parts of the Americas (New Orleans and Mexico) and New Zealand. 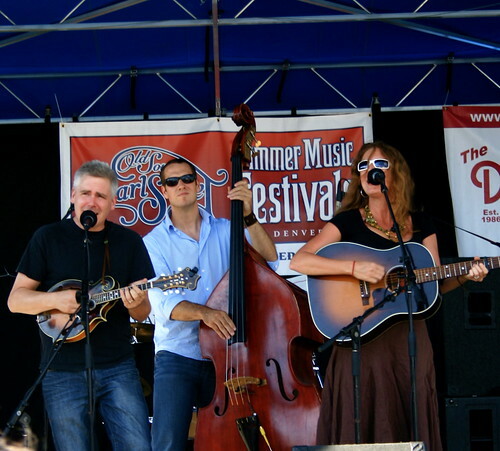 No longer are local artists playing in the parochial back yard. The competition is officially global. And the minicine energy is supporting the global perspective. Check out the high flying papel picado in the rafters of 846 Texas. See the poster by Ben Moss. Check out the dolls from the Crescent City. Music. Food. Participation. Buying art. You'll never regret a penny spent. The Dia celebration in Columbia Park on Sat, Oct 29, is produced by Voces Castellanos for students and families. TNT, October, a photo by trudeau on Flickr. 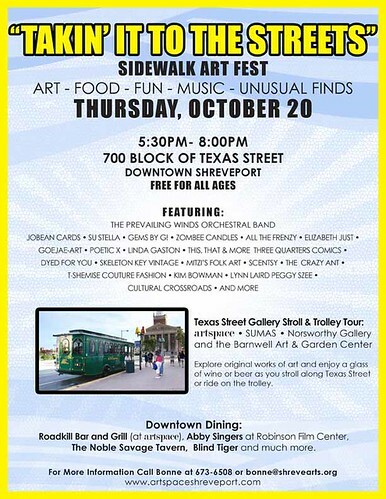 While there is a cornucopia of artisanal vendors waiting for those seeking unusual crafts in the 700 block of Texas St on Thurs, Oct 20, let me pitch my favorites to you . . .
- Su Stella, a woman with a sense of humor and huge work ethic and expertise in jewelry and pithy books. - Poetic X, a spoken work artist of distinct skill and grace, Poetic is an award-winning speaker and spell-binding rhymer. - Linda Gaston, a designer and painter of sinuous style; she made the parade sash that I've worn while second lining in recent years. It's a perfectly well-sewn and righteously-decorated piece of work. - Tiffany Walker of T-Shemise Fashions has been a continual explosion in the world of custom clothing. - Lynn Laird, a very active painter and designer. For a while she was the only local artist purveying the art of scrimshaw. - Southern University Museum of Art Shreveport, or SUMAS. Filled with impressive African art plus work by featured regional artists, this 2-story art center is one of Shreveport's best-kept secrets. - The Norsworthy Gallery is a jewel and owners Chris and Christine Bailey are thoughtful and gregarious hosts. - Prevailing Winds Symphonic Band is composed of professional and top amateur musicians and performs marches and overtures that will make you smile. Free. All Ages. Info at Artspace. 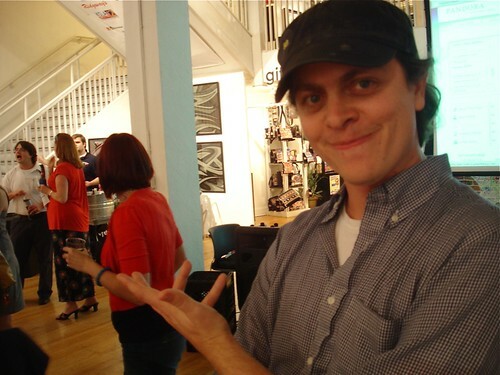 Brandon Oldenburg, Shreveport, a photo by trudeau on Flickr. "Here at Cohab, we're excited to be teaming up with the Robinson Film Center and Moonbot Studios to bring a Series of TEDx events to Shreveport-Bossier," says John Grindley. "TED embodies creativity in (T)echnology, (E)ntertainment, and (D)esign and "Ideas Worth Spreading". The TED movement is happening all over the world, but up to this point North Louisiana has not been a part of the TED dialogue. All of that is changing with a group of TED believers aligning forces to bring TEDxRed River to life. We'll begin on November 2nd with a series of TED talks led by Moonbot Studios' own Brandon Oldenburg at the Robinson Film Center's Multi-purpose spaces on the 2nd floor." Leadbelly poster found by John Reynolds, NYC, a photo by trudeau on Flickr. 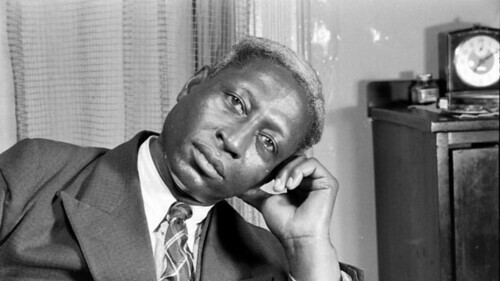 In them old cotton fields back home…"
The great American songwriter and folk singer Leadbelly (Huddie Ledbetter) was thinking about his hometown of Mooringsport, La. when he sang these words at the turn of the twentieth century. On October 22, 2011 at noon, you have the chance to visit Leadbelly's grave and hear this song (and others) performed by north Louisiana musicians in the Shiloh Baptist Church cemetery right there in Mooringsport, at the annual pilgrimage known as the Leadbelly Era Celebration. If you don't know who Leadbelly is, chances are you know the songs he wrote or performed. "Cotton Fields Back Home" is an old favorite of our grandparents and great-grandparents—probably ingrained in the memories of even the youngest modern Southerners. And Leadbelly wrote many songs that became part of the Great American Songbook. "Midnight Special," "In the Pines," "Black Betty," "Goodnight Irene," "Birmingham Jail"... The list goes on and on. To summarize, he was an iconic traveling musician who, like his compatriot Woody Guthrie, wrote songs documenting American life in the 1800s and 1900s. He was a fascinating character with a colorful personal history. And every fall, the musicians of his home region gather together at the foot of his grave, in a humble church cemetery, to pay homage to the great musician buried beneath there. All are welcome, and welcome to bring their own instruments and join their voices to the chorus. It's a low-key affair, but truly special and sweetly spiritual in nature. It's worth the short drive through the beautiful countryside to commune with nature, some top-notch musicians and fellow music lovers (about 45 minutes outside Shreveport). Directions: Take I-20 Exit 3 (LA -169), North 10 miles to Caddo Parish #6. (a.k.a. Blanchard-Latex Rd.). Turn left on Caddo Parish #6, drive 2.6 miles to Shiloh Baptist Church. Estate 3, a photo by peopleslight on Flickr. Dividing the Estate, a comedy by Horton Foote, is coming to Shreveport Little Theater Nov 3, says Robert Darrow. Foote is best known for his screen adaptation of “To Kill a Mockingbird,” and his play and screenplay, “Trip to Bountiful”. 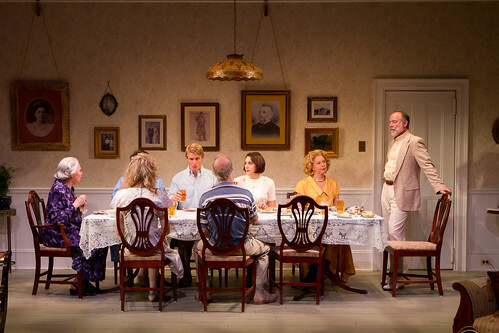 Dividing the Estate, which was produced on Broadway in 2008, is set during the 1987 oil bust and recession in the fictional small town of Harrison, Texas, outside of Houston. The timely story deals with greed, avarice and entitlement issues that accompany a dysfunctional family’s prospects of riches from oil and natural gas leases. The siblings fight over whether they should divide the estate while their elderly mother is still alive in order to avoid inheritance taxes. SLT’s cast includes Marcia Cassanova as Stella, the matriarch, and Virginia Walker, Heather Bryson and John Kerry as the siblings with Eric Whitt, Charles Montgomery, John Daniel, Marcelia Jackson, Jori Jackson, Audra Caitlyn Moss, Wallace Rakoczy, Rachel Harris, and Karly Pokorski. The creative team and running crew includes Robert Darrow, director, Rebecca Woodruff, stage manager, Tom Serio, set designer, David White, lighting designer, and Peggy San Pedro, costumer. The production dates are November 3, 4, 5, 10, 11, 12 at 8 p.m. and November 6, 13, 2011 at 2 p.m.
Tickets are $15 for seniors, students and active military, $17 for adults, and $10 student rush. Tickets may be purchased at box office, 812 Margaret Place, from noon – 4 p.m. weekdays, or by calling 424-4439. Bobby Bridger, troubadour, a photo by trudeau on Flickr. Singing and telling stories is Bobby Bridger's life. He is deeply concerned with the philosophies and intersections of Native American and European American culture. The ambient trio Tchai (Chappell, Hardy & Trudeau) will open the back yard concert and will jam afterwards. Big Oak Yard Concert hosted by Bruce Allen and Kristi Hanna in their vast back yard. $15: music, plus drinks and snacks. ARR International Covers // Italian, a photo by ColdTrackDays.com on Flickr. lecture to the public at 6:30 p.m. on Thursday, October 20th at Caddo Parish Magnet High School, says Kris Clements. is a New York Times bestseller that has been published in 30 languages. 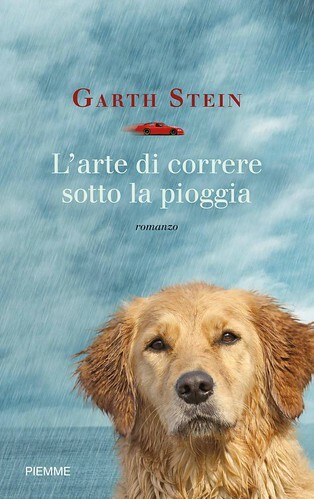 and enduring hope, The Art of Racing in the Rain is narrated by the funny and loveable family dog, Enzo, who provides a look at the wonders and absurdities of human life. 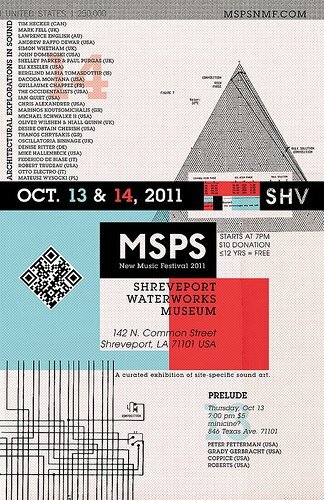 MSPS New Music Fest, Shreveport , a photo by trudeau on Flickr. The two-story building at McNeil St Pumping Station was a cathedral for the final hour of the MSPS New Music Festival on Friday. Canadian sound artist Tim Hecker unleashed torrents of sampled signal into massive speakers inside the building that houses the flywheels and towering steel pumping mechanisms. The result sounded like overlapping storms from 3 cathedral organs. The high banks of window panes in the Pump Room oscillated in the orchestral wabe. People of all ages wandered wonderingly through the romantically dark facility. Indirect and colored lights illuminated coves, valve assemblies and the steps that connected the labyrinthine hallways of the several buildings. 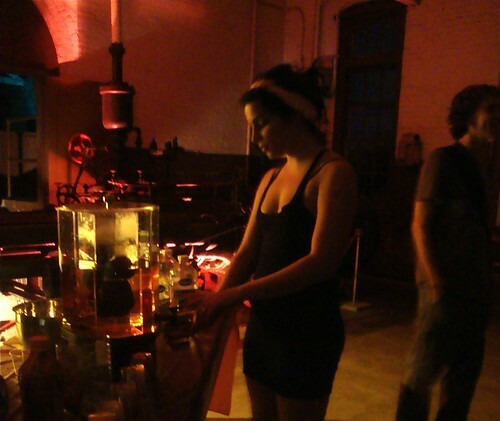 Performances unfolded in the vat-filled Filter Room. Installations pulsed in the picnic area (the Occidentalists' inflated and illuminated parachute was an icon) and hummed (film by Dacoda Montana animated several cement walls) and clanked in the sky above the Settling Basins (Eli Keszler vibrated and amplified the wires that he strung from an exterior tower to the ground). Sited amidst the numerous alcoves were caterers' posts. My favorite was the vast oak tree in the picnic area from which hung fresh fruit; crowd favorites were the pork room and the juice bar. There was a listening station in the octagonal Laboratory. Among the 13 recordists' work was a piece by Desire Obtain Cherish. Fans of esoteric music such as Christian Greenwood, visiting from Los Angeles, and Joel Boultinghouse, MSPS volunteer from Shreveport, chatted with obscure new music heroes such as composer Mark Fell, a Londoner fresh from a tour of France. Some 30 volunteers and minicine board members assembled the extensive network of lights and sound facilities, said David Nelson. Curators Robert Peterson and Robert Greenwood and visioneer David Nelson have plans to repeat the fest next year. They want to make the performers available to the audience over several days of performances and talks. The minicine team has taken an off-the-beaten-path site and shown the city that it - also called the Shreveport Waterworks Museum - is a world-class performance complex. With quietly deluxe style minicine transformed a moribund historic center into a sensual wonderland. "A Little Princess:" Caroline Adkins, Lily Whitaker , a photo by trudeau on Flickr. 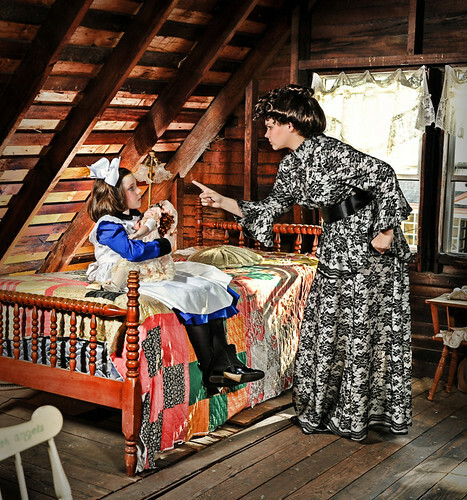 The Academy of Children’s Theatre will present its production of A Little Princess Nov 11-12 and 18-19, at 7 p.m.
and Nov 13 and 20, at 2 p.m. at the East Bank Theatre, says Cynthia Whitaker. 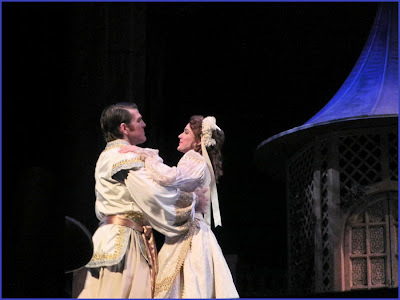 A Little Princess is a Victorian fairy tale telling the story of Sarah Crewe, who is placed In Miss Minchin’s Seminary. The production is written and directed by Cynthia Hawkins Whitaker with sets by Eugen Crook and Heather Hooper and costumes by Peggy San Pedro. It features 30 of the area’s top young actresses and stars Bryan Wooley, Courtney Van Eaton, Lily Whitaker, Christian Dantes, and introduces Caroline Adkins as Sarah Crewe. Reservations: 741-8310. All tickets include a character meet and greet and autograph signing after the show. 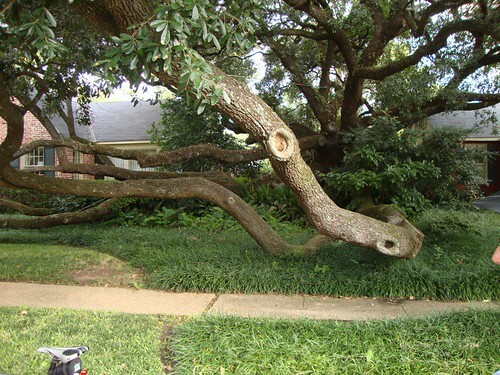 "Velo Dendro is a bicycle tour of Shreveport's trees sponsored by A Better Shreveport. A relaxed ride, it has drawn 80 to 100 riders per event in its first 2 years," says Dr. Hallie Dozier. Registration and last-minute air for tires at 8:30 am at Columbia Cafe. Fee is $10 and includes T-shirt, snack and lunch. The tour is led by LSU forester Dr Hallie Dozier, a former Shreveporter. Matthew Linn, proprietor of Columbia cafe, is tour co-producer. Robert Trudeau and Garrett Johnson are the coordinators for 2011. Those taking the entire tour will return to Columbia Cafe for lunch, which is included in the $10 registration fee. "The tour visits Betty Virginia Park before winding through old Broadmoor, taking a break at Centenary College and going via Olive St to the Stoner Boat Launch (stop for water & fruit). There the group spins down the Fant bikeway to downtown. Group photos will be shot near Riverview Fountains. Thence we return to Columbia Cafe," says Trudeau. He and Dozier recently rode the route and found it "lyrical." More info or to volunteer: trudeau11@gmail.com. A Better Shreveport is overall sponsor of the event. Joining as sponsors are Pratt Industries, Columbia cafe, the Bike Pedaler and River City Cycling. 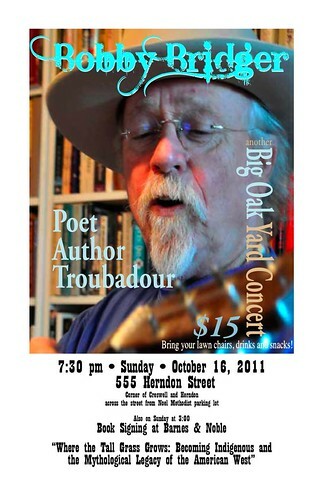 Tribute to the Hayride & Hank: Strand Theater, Sun, Oct 16, a photo by trudeau on Flickr. 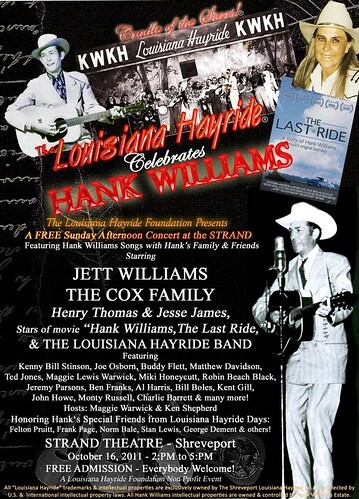 Shreveport and the Louisiana Hayride will celebrate Hank Williams with a free concert, Sun., Oct. 16th, 2 pm to 5 pm, says Johnny Wessler. The event is sponsored by the Louisiana Hayride Foundation. It will be held at the historic Strand Theatre. Other performers at this Hank Celebration, include actors from the movie, “The Last Ride,” who are singers and musicians as well. Henry Thomas, who played the young boy in E.T., stars as Hank in the movie. Jesse James plays the role of the driver of Hank’s Cadillac. “The Last Ride” opens in Shreveport at Cinemark Tinseltown 17, Oct. 21st. Wearing long jeans and a t-shirt to the 2-hour puppet show called "The Fantastic Mr Fox" was smarter than I knew. For on Saturday night "Mr Fox" was an adventure in which the audience's climbing, scrunching, hiding, and sliding was part of the entertainment. reveals an inventive drama that mixes distress with disportment. Too, it was a bit like a Bill Joyce book come to life - each room featuring surreal perspective and droll detail such as warped cabinets and lamps. And a stream of sly jokes (a special edition of Fox News was witty) kept the adults alert. While I fully recommend the experience, I am not saying that it is a pristine production. 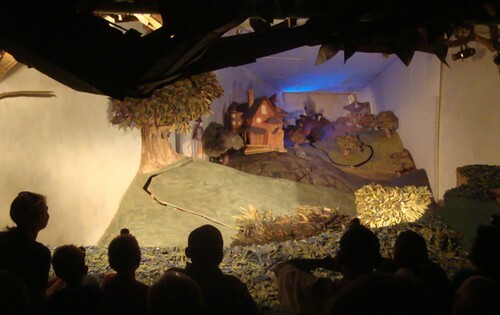 "Fox" takes place underground in a rough-hewn world constructed of cardboard and wood. Some of it is properly and humorously painted, and some of it is not. "Fox" seemed like an off-off Broadway show because the mufti-clad puppeteers were not hidden - they were omnipresent and kept the puppet figures in constant motion. The puppets - "Fantastic," his son and his wife - were bursting with body language. If the actual puppet figures were larger - they are realistically skinny - I think the show would have been even more effective. The soundtrack was one of my favorite elements. Beatlesque tunes written and recorded by the creators of "Fox,", SFX and symphonic flourishes were expertly added to each tableau. And the voice of New Orleans musician Johnny Vidacovich as "Fantastic," the charming n'eer-do-well, gave the audience a soulful and vivid hero. See tickets ($20 ea) and schedule of performances, of which several are sold out, at Artspaceshreveport.org. - Those who want to see the show but don't feel the gymnastic parts will work for them can take an alternative walking path between scenes. - In-betweeners can grab knee pads and enjoy a modified trek. Rough-and-tumble types may be OK wearing shorts but we steadfastly recommend long jeans. See more photos from Sat night with "Fantastic." 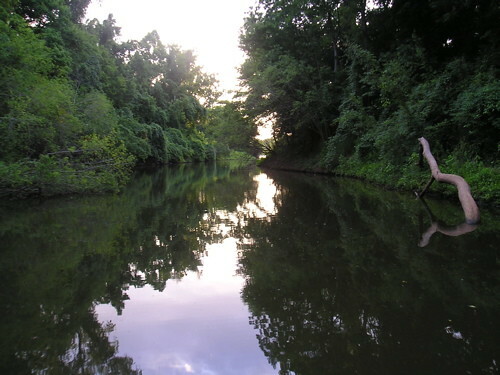 Cross Bayou, Shreveport, a photo by trudeau on Flickr. Free Lunch: Noon - Huge thanks to Gumbo to Geaux and Buffalo Wild Wings. Join us and these amazing commmunity partners ~ be a part of this great opportunity to do something good for our community! Jeff & Vida Band, a photo by Donna Gisi (Portraits4Peace) on Flickr. "Revel wraps up this weekend: It's time to reserve for the "sure-to-be-super" Jeff & Vida Band concert Saturday, October 15," says Jim Huckabay. "A powerhouse duo in their previous two shows here—this time around Jeff Burke & Vida Wakeman are bringing reinforcements for a complete 4 (or 5?) piece presentation. Reserve your place and tell your friends (we still have some seats) about one of our most popular & respected acts!" Design: Ben Moss, Shreveport , a photo by trudeau on Flickr. "Plans are moving forward for Voces Castellanas's Day of the Dead - Festival of Life - to be held in Columbia Park on Sat, Oct. 29 --- from 1:00 to 4:00pm," says lee Spruell. "Yesterday I was at Caddo Middle Maganet helping my friend Raquel Martinez teach her Spanish students traditional songs in Spanish and Mexican folkloric dances" adds Spruell. "They will perform for their school's October Fest on Oct. 12 and then again for Dia de los Muertos on Oct. 29 -- the celebration of Hispanic culture shines brightly in Shreveport." "Tres Mexicanos (Conchita, Mallori and Adam) and minicine? 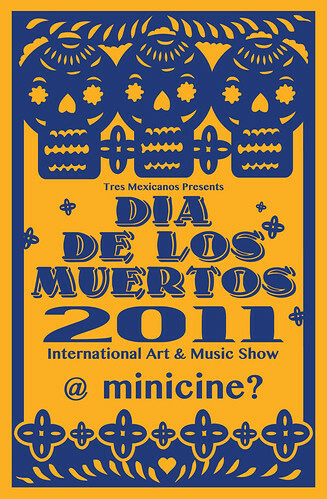 are proud to present Dia de los Muertos 2011," says Conchita Iglesias McElwee. "What a night of remembrance, festivities and fun we have planned!! So many things going on that it is hard to put it all here! We have over 35 artists from all over the world participating in this show! We will have the gallery space open as well as our outdoor space. In honor of the spirit of Dia de los Muertos come dressed as your favorite dead person or animal! We will have a community ofrenda (shrine) to celebrate those we have loved and lost. We will have interactive art where you can paint a sugar skull wall. Taqueria La Michoacana will be selling their awesome tacos and burrittos! Juan Ramon Soto from Guadalajara, Mexico will be on hand painting and selling his clay art!" So long and thanks, Steve Jobs. Best to your family. Boy and his eMac. photo Talbot Hopkins, a photo by trudeau on Flickr. Talked to my son, Adolph, about our earliest Apple computers. Began buying them in the early 90's. My first 2 were hand-me-downs from my children. In 1984 I was shopping for our first computer. Both of us remembered a visit to a store that sold the Macintosh near El Chico's Madison Park. Because of the expense I passed on the Mac. Bought a California brand called a Kaypro. 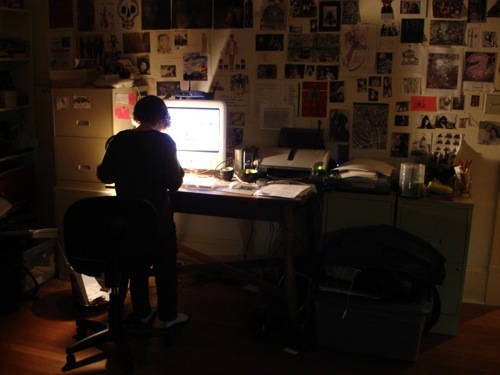 One of our best Apple stories is about the eMac that ran for 11 years; not a moment's problem. There was an iBook that was schlepped across Europe and the US. It has been rebuilt and is still running. Today I must give honor to my little MacBook. Have edited a ton of video and sound on it and filled several external hard drives. It's a tough one. The new iMac is impressive, too. I never did like the iPod. Had several of them and they were a pain in the rear end. I don't quite know how I live without an iPhone. My children consider them, like, essential. Waiting for another generation to go by before getting a magic carpet iPad. So long and thanks, Steve Jobs. Amazing work, sir. MSPS: Oct 13, 14, Shreveport , a photo by trudeau on Flickr. Artists from Germany, the UK, Iceland and Canada will present startling washes of sonicalia at the McNeill Street Pumping Station New Music Festival 2011, a curated exhibition of site-specific sound art, says Robert Peterson. The M S P S N e w M u s i c F e s t i v a l 2 0 1 1 will exhibit site specific performances, installations and recorded compositions. The theme of the exhibition is “Architectural Explorations in Sound” in response to the pumping station house where the festival will take place and the wealth of acoustic information to be gleaned from the brick, glass and iron within the interior of the space. More on the fest here. McNeill Street Pumping Station from McNeill Curatorial on Vimeo. 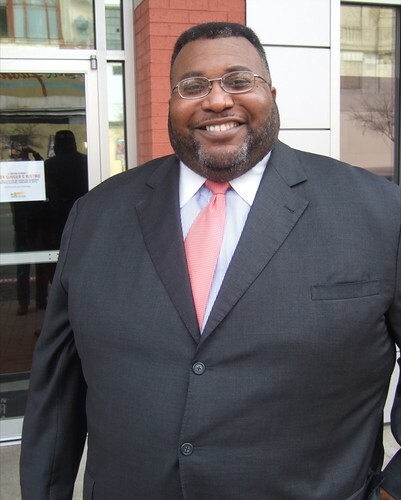 Cedric Glover, Shreveport, a photo by trudeau on Flickr. "I met the mayor of Shreveport, La. recently. He weighs 400 pounds, is about as black as it gets, and is straight. His name is Cedric," writes Hollywood wit Bruce Vilanch in a Huffington Post column. "I met him at the Lesbigay Film Festival. That's not its real name, of course, although his real name is Cedric. Its real name is something far more exotic and abbreviation-able (SLBGTFF, or letters along those lines), but it's a lesbigay film festival, all right, and I was one of its opening-night attractions. In Shreveport. Louisiana. Where people once wore hoods and strung 400-pound black men up, and probably just left the bodies of other undesirables to be be disposed of by crocs in any of the many neighboring lakes." More on Shreveport's perceived evolution here. Daniel Gehrig, Shreveport , a photo by trudeau on Flickr. Shreveport's beloved Duck Park needs a rehab, says environmentalist Daniel Gehrig. Tune in to Kscl fm, 91.3, for an on-air chat with Gehrig on Mon at 5 pm. 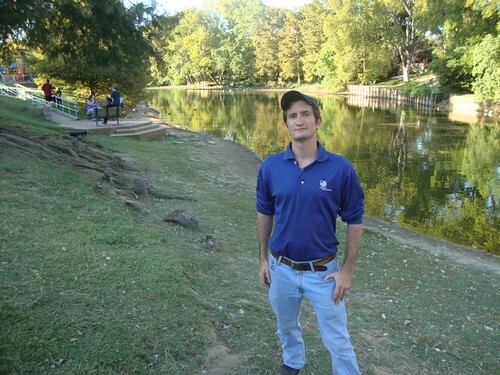 Gehrig, an employee of Louisiana Environmental Solutions, is a consensus builder; he is bringing together several community-minded groups for the effort. Stand by for a Shreveport-wide Duck park clean up day. Also on the 5 pm show, Time for A Better Shreveport, hear Centenary College prof Annie Blazer offer background on filmmaker Naimah Fuller. Her movie about the migration of Black Americans, entitled "Home," airs at RFC in Shreveport, Wed, 10-5-11, 7:30 pm. Stream the show at http://kscl.fm/. Questions or remarks during the show: 869 5297. Time for A Better Shreveport is hosted by Robert Trudeau, Carolyn Manning & Loren Demerath. Visit the ABS open meeting at 6 pm every Mon at Centenary Square, across King's Hwy from George's Grill.